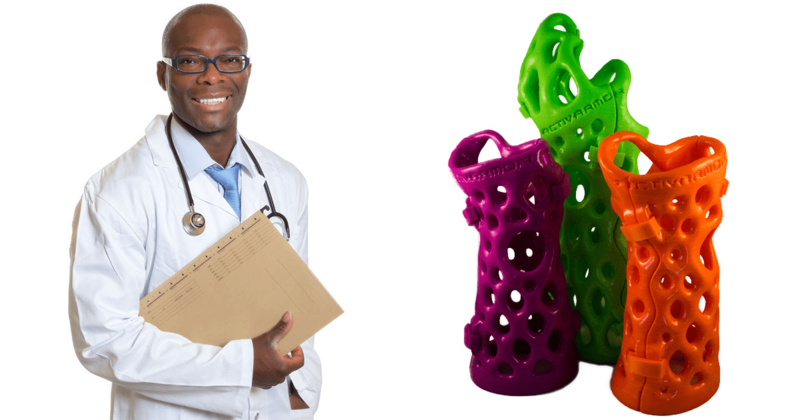 ActivArmor’s revolutionary digital casting/splinting process takes the time consuming, custom-fitting work out of the clinic, improving patient through-put and billing opportunities throughout the healing phases. Normally, when a patient has an acute injury, they go to the E.R. and are put into a temporary splint and referred to an orthopedic specialist, to diagnose and determine if they need surgery or not, and what the treatment will be. If there is swelling present, the orthopedic provider will either put them into a compression splint, or cast them until the swelling goes down and see them again in a week or two. At that next appointment, the patient will have to be casted or re-casted. The patient may have to have that cast cut off and re-applied throughout the healing phases for further x-rays or exams, and will often be fit with a splint or brace as well, in later healing phases. 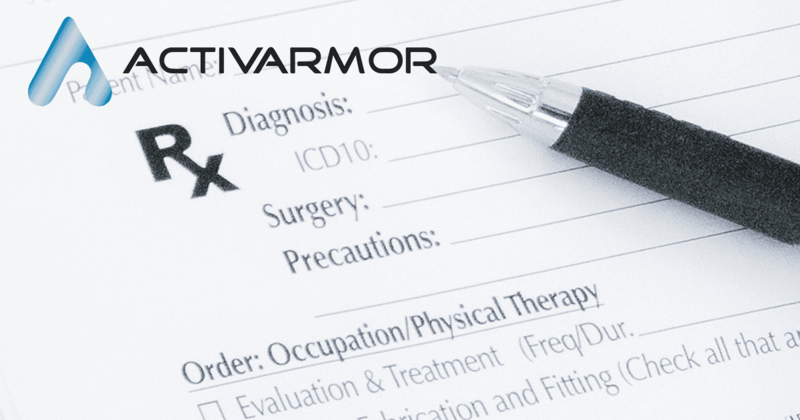 With ActivArmor, instead of being casted, the patient is scanned, using a safe, painless, white-light body imaging scanner, as soon as the swelling has subsided. This can happen in the casting room, or at the therapy clinic. They can then be placed back into their temporary immobilzation method (compression splint or bi-valved cast) for 3-4 business days until their ActivArmor device comes. The scan takes about 30 seconds, requires no inventory or equipment to purchase up front and manage, and there is no prep or clean-up time, like there would be with a traditional cast. When the patient comes to pick up their device, they do not need a physician appointment, but to simply stop into the casting room or therapy clinic to have the device snapped on. Small adjustments can be made to the devices if necessary, but that is rarely needed, as the device is precisely fit to the millimeter of the patient’s body image scan. After that, at future appointments, there is no need for cast saws or re-casting, as the ActivArmor device is reusable. This saves further inventory and clinic time. The patient will never come in for re-casting due to a soggy/filthy cast, hygienic issues, such as smell, or trapped debris. In addition, ActivArmor transitions from a cast to a removable splint with clips, so that the patient does not need to purchase further products in later healing phases. This saves the clinic AND patient time and money!